Timotheus wrote: To be honest I have no idea what we made the glider out of, or what the ship is made out of, or even what the golems are being made out of at the moment since we don't have a large forge or metal casting facility. I just keep telling myself "magic fired ceramics over wood or cloth bases" and force myself not to worry. Well then, I'm glad I'm not alone in that boat, but at least you have something you can tell yourself. Personally, I was going a little crazy over why the wargolem was possible but the mana cannon, which is smaller and simpler, wasn't. But hey 'magic fired ceramics' sounds good to me. We got company at home, one that I think you'll like Ash. Nuqrah envoys have visited us and are willing to let us take a look at their tech. If we ally with them and get on their good side, maybe they'll share that technology as well. If they're from Nuqrah and judging by their armor, they're the Balvhakara clan and thus have ties to the Illhardro. Make friends with the Balvs, and we become associates with the Illhardro. Play our cards right, we can become allies with the Illhardro. Becoming allies with two Val clans (the Nals and illhardro) who also happens to be the most influential merchant clans, would increase our clan status and prestige. Not to mention access to greater trade options, we need to get in bed with these guys. goblin6 wrote: we need to get in bed with these guys. Why not both? It's just business. Rest easy, folks! I'm on the case! YAY,.. er, I mean, good, good. I'm sure the air show on our arrival didn't hurt. 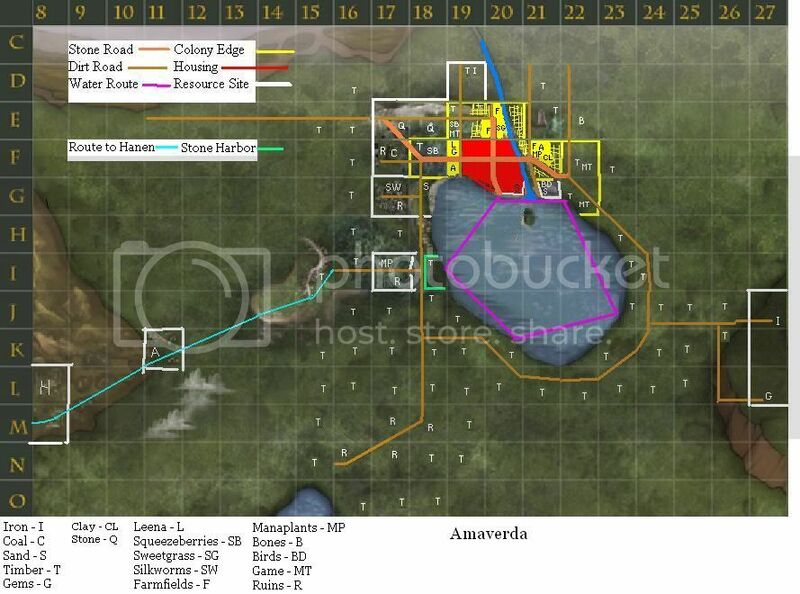 For general information, this is the last map of Amaverde from the previous incarnation. lol, so much for that.